Click here to go to your Leadership module. Credit unions are exceeding goals and breaking records quarter after quarter. In such an ideal environment, why are some still looking for the next challenge? FEATURE Good-Bye Incremental Growth. Hello Exponential Growth. How do you connect with millennial members whose future is so entirely … to be determined? 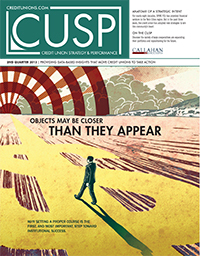 How credit unions can use biology, psychology, and game theory to modify member behaviors for the better. In a sky full of glittering opportunities, maintaining the industry’s guiding principles becomes more crucial, not less. Don’t let staff intransigence create digital divides that impede new products or imperil growth. Non-FI players are raising the bar for user experience and expectations. Now, credit unions must respond or retreat. FEATURE What Would Your Members Do With $1,000? Over the past four summers, Community Financial has awarded nearly one-quarter of $1 million in $1,000 increments to member-chosen organizations. 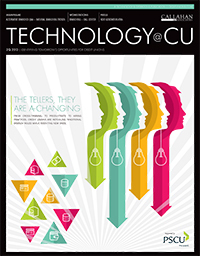 What’s old is new again for credit unions that repurpose great ideas for different circumstances.